FEATUREFor indicating liquid level and alarming to control. ■ Easy to install and is generally used. ■ Able to control motor continuously. ■ Able to control power seperately. ■ Able to use in chemical, industrial waste water, or food tank. 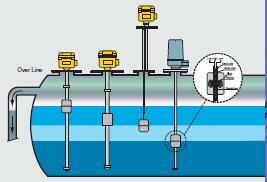 ■ Coated sensor with PVC or PTFE is available for chemical tanks. 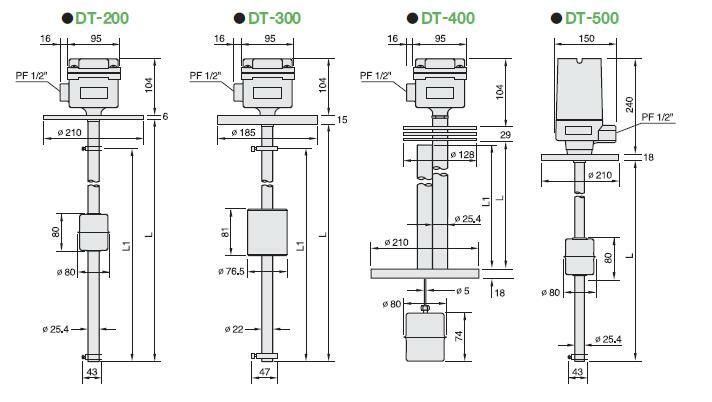 ■ High temperature type or high viscosity type is available by special order. It is widely used for ordering, controlling and alarming the liquid level. 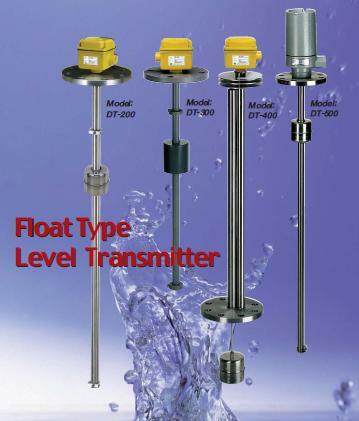 The installation is quick and easy and is the most widely used water level measuring device. By coating the sensor with P.V.C or PTFE, it is possible to use in the chemical tanks used for special purposes. 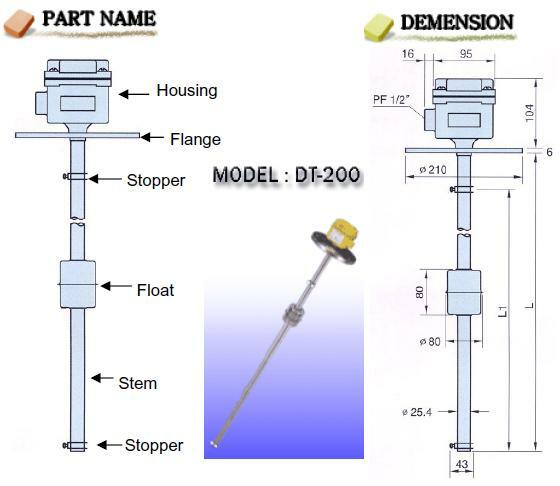 It is a widely used water level measuring device for sewage and waste water. Providing electric voltage of DC 24V to the sensor, it makes output of 4~20mA current which is converted by resistors in the sensor. The continuous fluctuation of the current is caused by the up-and-down movement of the float which has permanent magnet in it. Finally, the current output is transmitted to the controller.